Having been in this business as long as we have, we have created some of the most unique vehicle wraps imaginable. We have designed everything from pumpkins to pet care. Some of our favorite designs are ordered around this time every year, our festive vehicle wrap. What better way to promote your business and spread some holiday cheer than to wrap your vehicle in artwork so incredible it would make Santa and his elves jealous. 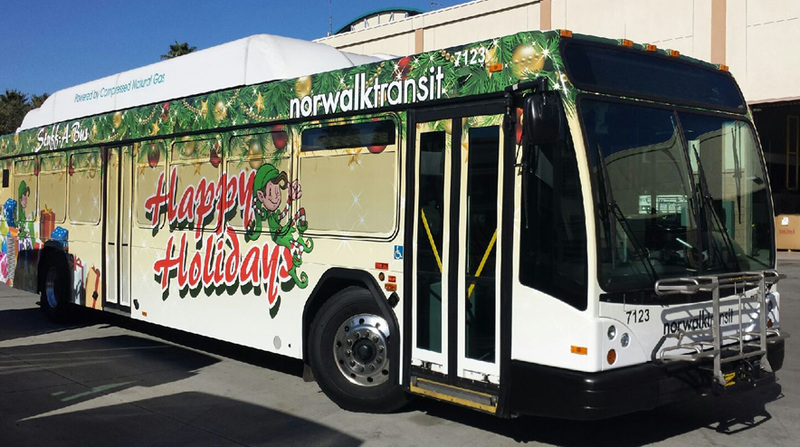 This post is going to feature some of our best holiday vehicle wrap designs. We seriously have a great time with these. It really puts the team in the holiday spirit when a customer orders one of these specialty wraps. Take a look at these incredible vehicles, and then stop on over to our Facebook page and let us know which one is your favorite. You have to admit, your business would be the talk of the town with a festive vehicle wrap. Givef a call and we’ll take care of the rest.